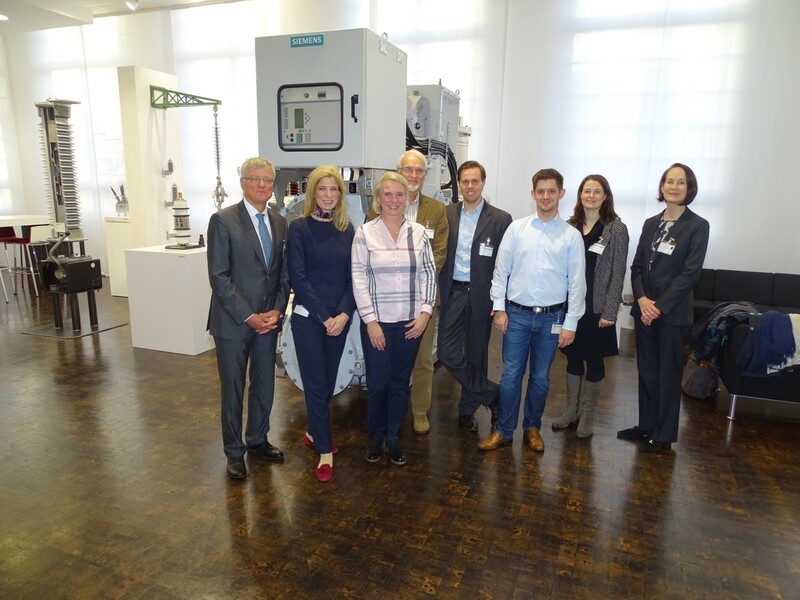 German Australian Business Council invited member and friends to a tour through the Siemens Vacuum Interrupter (VI) factory which took part on the 12th of October 2017 in the “Siemens Röhrenwerk Berlin”, located in the Berlin district of Siemensstadt, were Siemens was once founded. Around 80% of all power grid operators today opt for vacuum switch gear. The market share of vacuum circuit breakers is more than 99% in Germany. Vacuum interrupters are the centerpiece of our medium-voltage components. The hermetically sealed vacuum contact gap keeps the switching characteristics of the interrupters constant throughout their entire life-cycle. Special contact materials made by Siemens ensure that the vacuum interrupters offer absolutely top performance. With valuable features that include high short-circuit switching capacity and minimum forward resistance, they ensure reliable switching even under difficult environmental conditions – like vibration and fluctuating frequencies – regardless of whether they’re installed horizontally or vertically. The vacuum interrupters can perform up to 30,000 operating cycles when used in circuit breakers and up to three million for contractors – maintenance-free, throughout their entire service life. For Decades of experience in development and manufacturing Siemens is a pioneer and a technology leader in the vacuum switching technology. Only highly automated, state-of-the-art machines and production processes are used in our production facilities to guarantee the best quality. During the tour the participants received a glance on the VI production and during the introduction in the Information centre the variety of the whole spectrum which is produced in Siemensstadt was presented. Thank you for the grateful event. We are looking forward to the next tour.